Last year was pretty awful I guess then. I was as surprised as you are. This was a really close race actually. 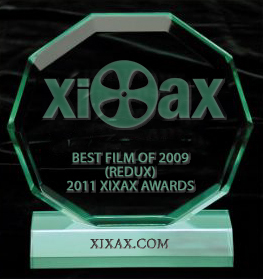 The only film not anywhere close to winning? District 9. I still believe this is only because everyone wanted to vote for a movie other than what won the previous year. That's VERY interesting considering how much everyone seemed to defend the District 9 win last year. It was a pretty cool sci-fi movie, but I just couldn't ever take it seriously as the best movie of the year. This is my new favorite category. I think next year we should add some board specific categories like thread of the year, poster of the year and even throw in album of the year or something. Could make it more fun for our little community. 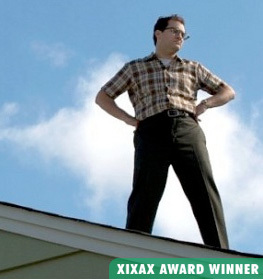 I wasn't able to vote, but I did nominate "A Serious Man". I think it's an unappreciated movie by the Coens. It's much better than NCFOM. And who the hell liked WTWTA and Inglorious Basterds? This was my favorite movie of last year, so I'm happy with this. It's a great movie, but Basterds is better. Just say it once again the other day, and all your claims that it's badly written (if I remember correctly) seem weirder and weirder to me.